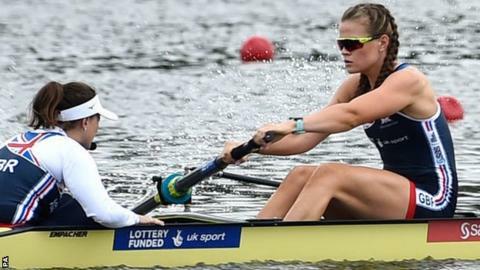 Belfast rower Rebecca Shorten and her GB women's eight crew go into Friday's repechage after finishing second in their World Championships heat. Shorten, 24, was in the stroke seat as Great Britain began their challenge in Bulgaria and they were just two seconds behind winners Australia. Australia qualify for the final while GB get another chance to join them. Shorten won silver with the GB eight crew at the World Cup regatta in Belgrade in June. Australia secured victory in Wednesday's heat in Plovdiv in 6:02.38 minutes with Great Britain close behind in 6:04.36. Shorten competes alongside GB team-mates Anastasia Merlott Chitty, Rebecca Girling, Fiona Gammond, Katherine Douglas, Holly Hill, Holly Norton and Karen Bennett.